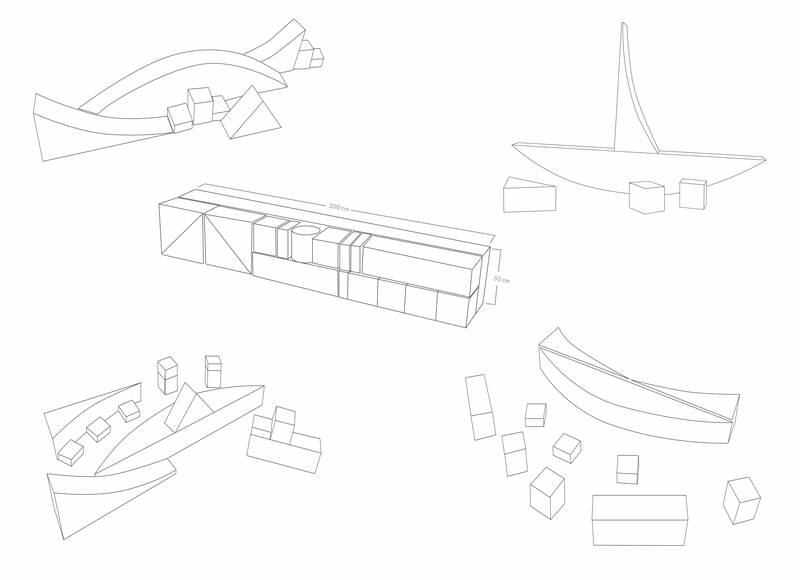 Inspired by female BAUHAUS artist Alma Siedhoff-Buschers wooden blocks »Bauspiel: Das Schiff« we designed ALMA_100. 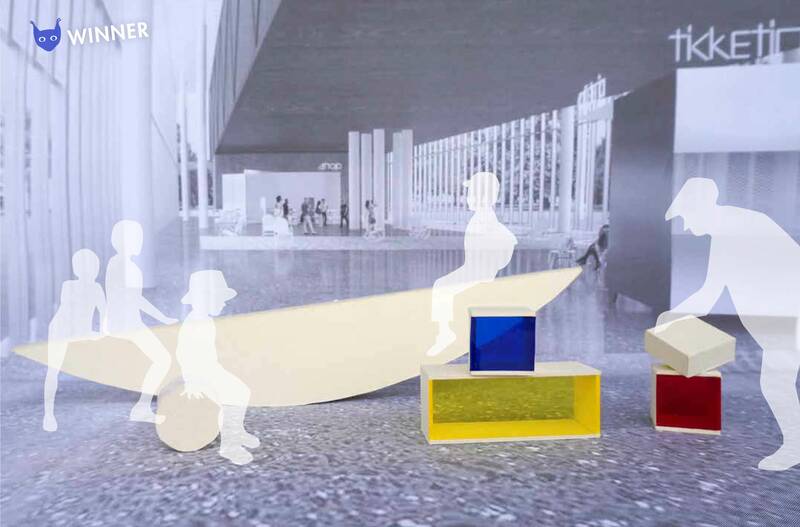 The 3-dimensional forms can be used inside and outside the museum as playing landscape, podium and sitting furniture. The simple elements stimulate a creativity to re-arrange the form. ALMA_100 is a modular system with transluscent colours that fit naturally into the transparency of the architecture of the new Bauhaus Museum. 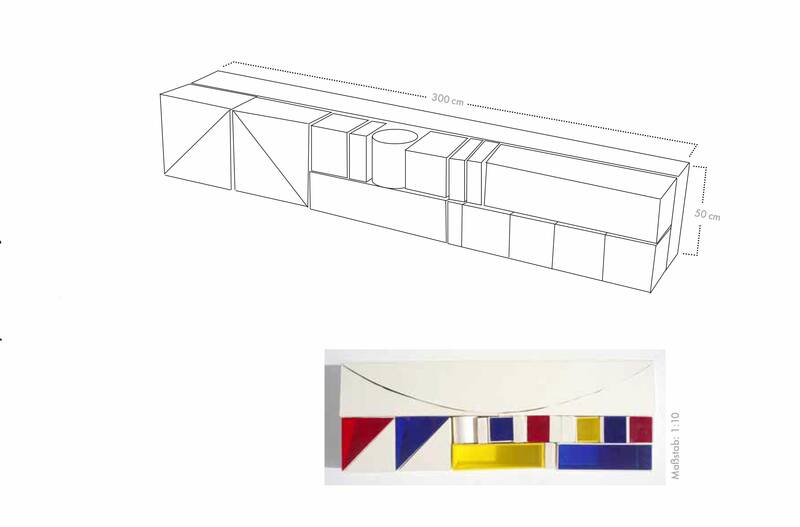 Reduced to the primary colours, colours can mingle through light while playing with the forms. 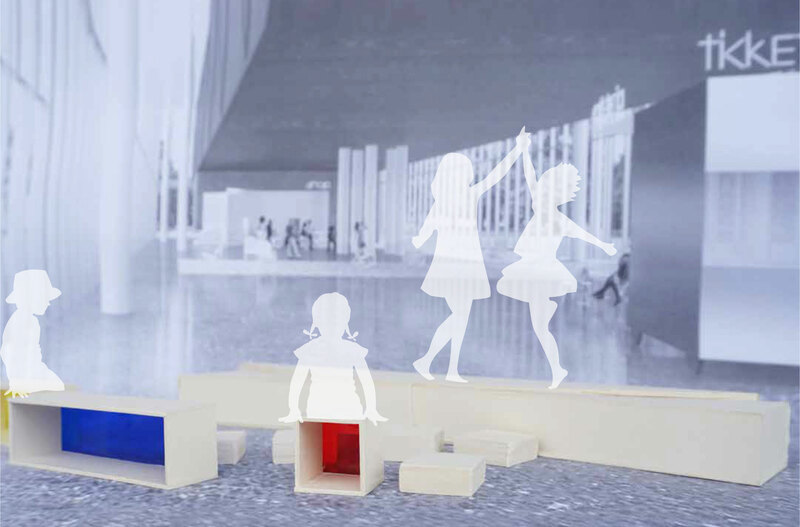 The modular concept brings a lot of opportunities: it can be a playing, sitting and acting landscape. 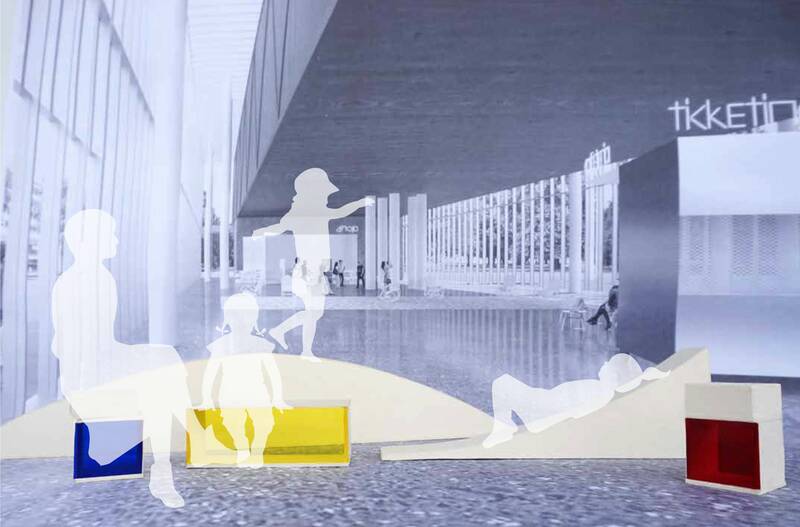 ALMA_100 offers visitors a dynamic playful, relaxing space in the foyer of the museum.